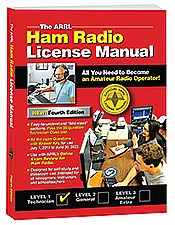 Get your FIRST (Technician) ham radio license! For exams beginning July 1, 2018. You can specify a number from 1 to 5350. You can specify a number from 1 to 20166. 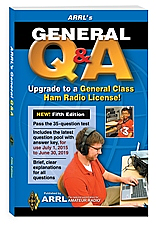 For exams through June 30, 2019. 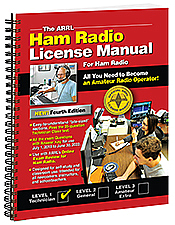 Use with ARRL’s Exam Review for Ham Radio. Spiral Bound Edition. For exams through June 30, 2019. 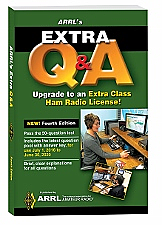 Use with Exam Review for Ham Radio. You can specify a number from 1 to 1240. 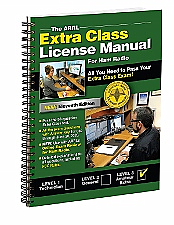 Achieve the highest level of Amateur Radio licensing! 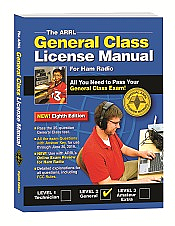 Use with ARRL’s Exam Review for Ham Radio. You can specify a number from 1 to 5306. 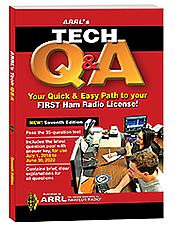 Your quick & easy path to your FIRST ham radio license. For exams beginning July 1, 2018. You can specify a number from 1 to 3998. 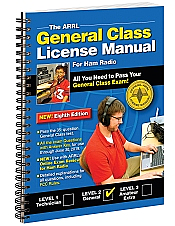 Upgrade to a General Class Ham Radio License! For exams beginning July 1, 2015. 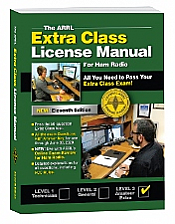 Achieve the highest level of Amateur Radio licensing! For exams beginning July 1, 2016. You can specify a number from 1 to 1460.